My customer picked up her state flower quilt yesterday and loved it. She hugged me three times, she was so happy. Which of course, made me so happy, too! 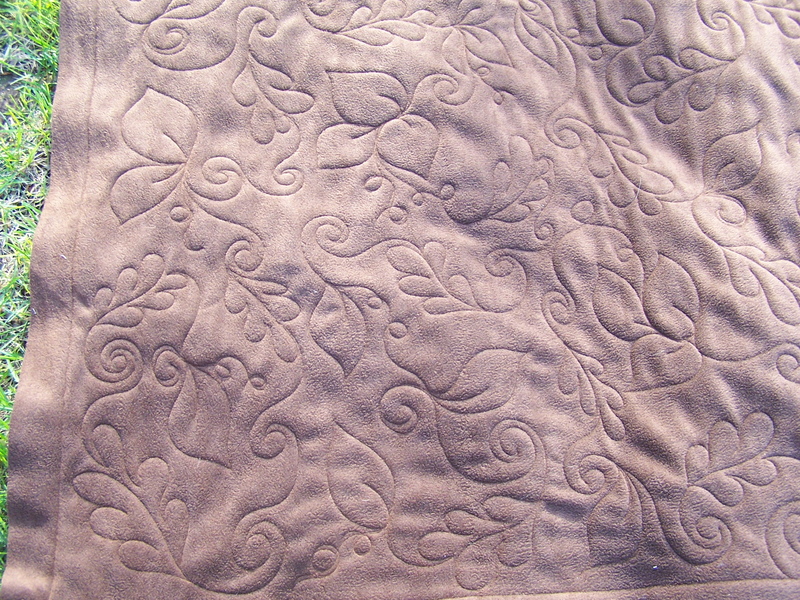 I finished up another fleece today, except for the “fringing”. Still need to do that part. This one is a thank you gift for a local business man that did a very nice thing for my son & the rest of the high school golf team. It’s one of those times where “thank you” just doesn’t seem quite enough, but what do you do for a man who has everything? So, I thought he might like a snuggly fleece blanket made by me…a gift from the heart. 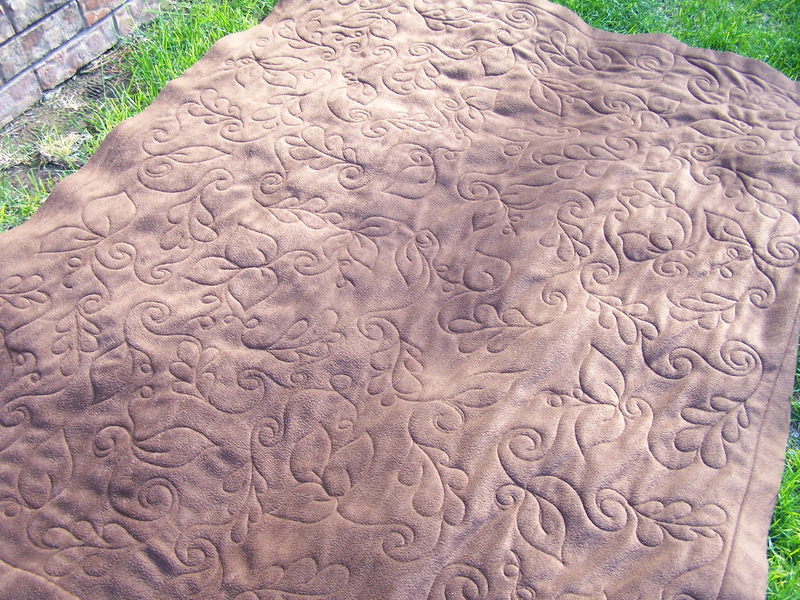 I laid it out on the grass in the backyard, in the sunshine, trying to capture the true color of it, but, the pictures do not show the true color…it’s a deep chocolate brown. 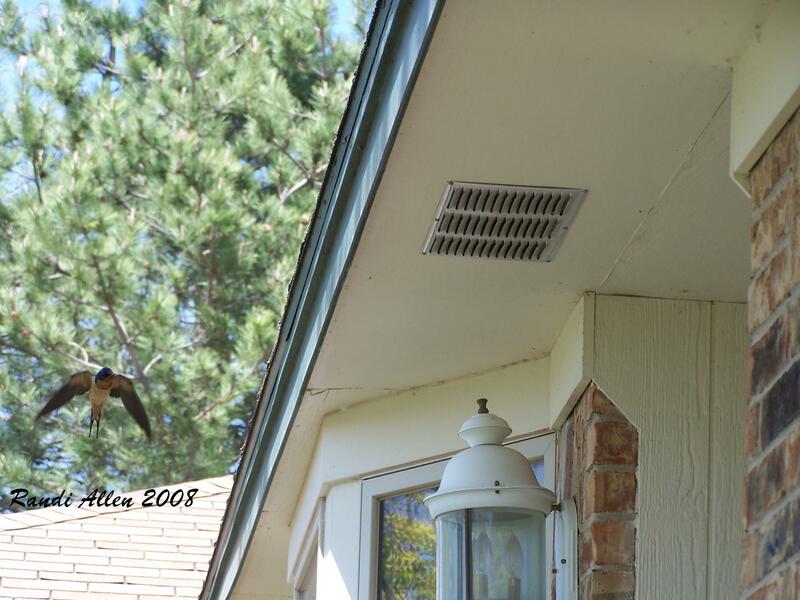 Ready for more birds? I worked hard yesterday to get these to share with you. 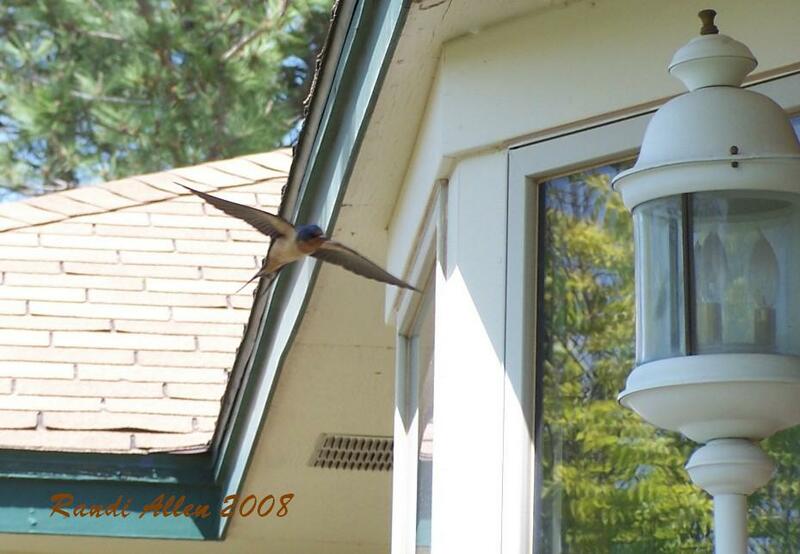 My swallows are back to nest above my front door again. It gets a little messy, but I don’t have it in me to run them off. Besides, they eat lots of pesky skeeters. Enjoy the show! 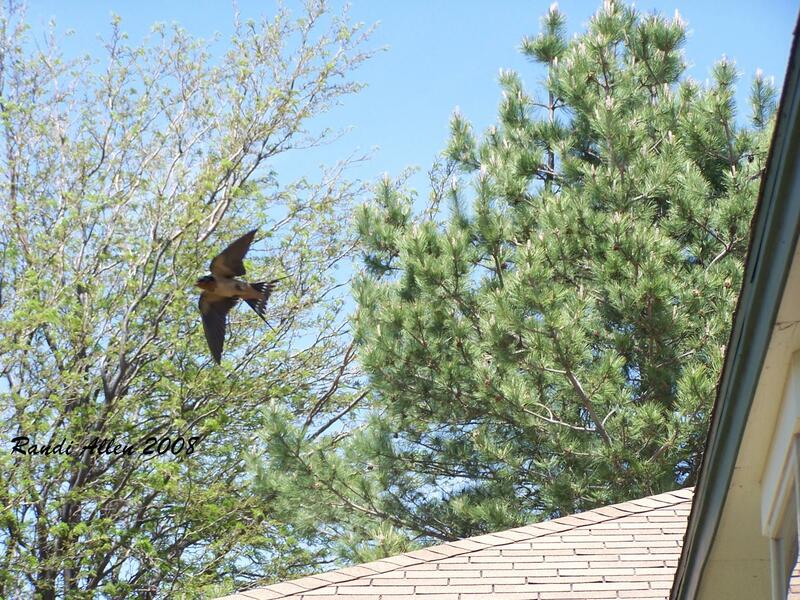 And while I was sitting below in my lawn chair looking up, I spied this under the edge of the shingles. I had to share it for Jan 🙂 Praying mantis egg. I have a stressful week ahead due to my day job. Think lots of good thoughts for me. It involves having to testify in a court hearing, in a county over five hours from here. I keep praying I won’t have to go, but I don’t see that happening…so you prolly won’t hear much more from me til later this week. Love the fleece..it looks so warm and cozy…not something I’d do here…way too hot! 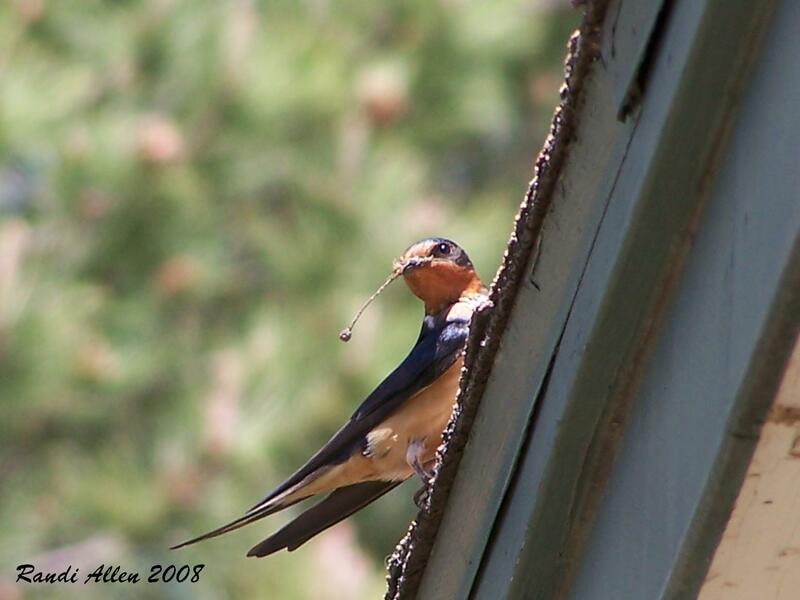 Also love the bird pics, and yes even the praying mantis eggs. Good thoughts for the week ahead. 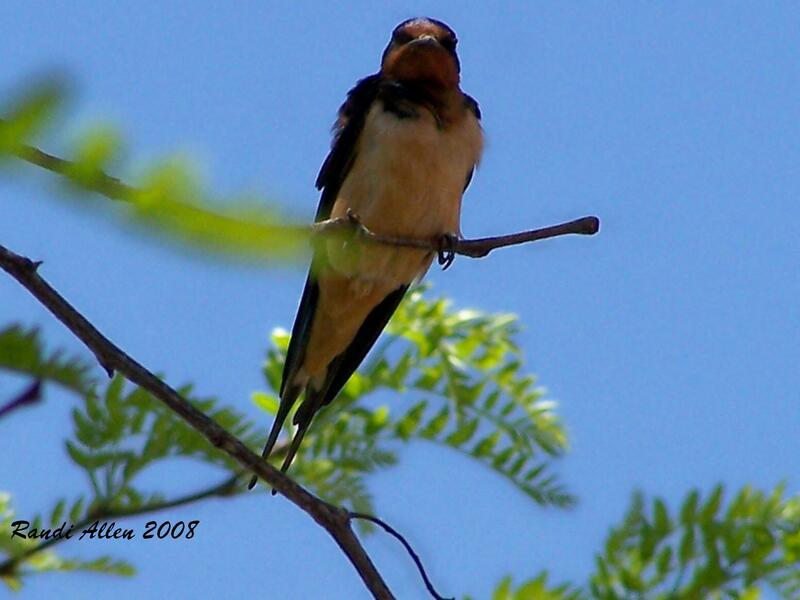 Your swallow pictures are fantastic! The fleece blanket will be such a nice gift too! Do you edit and crop your photos when you take them? If you do, lay a pair of faded jeans in the photo beside the quilt or something that’s a medium gray. That should help the camera get the rest of the colors correct. You can crop the color assistant out of the photo later. I learned in a camera class that the digital camera really wants to make something in the photo gray. Pretty pretty!! And way cool on the praying mantis eggs!!! Now I’m going to be looking up more 😀 Good luck with the travel and trial. I’ll say a quick prayer for you!! The fleece blankie is a really nice gift, he will love it. Besides how often does someone actually hand make something anymore??? 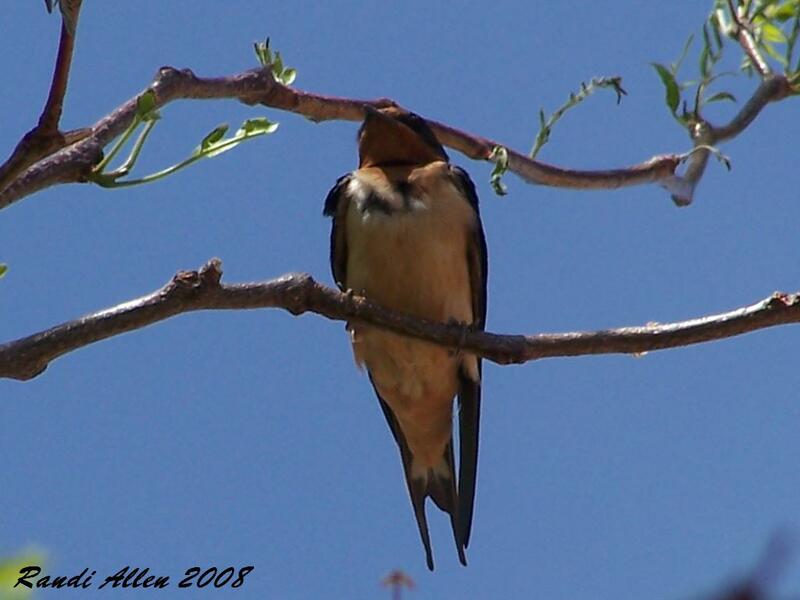 Thanks for sharing the swallow pics, they are so beautiful with wings out stretched. I used to have to testify, not too often, thank goodness. It’s one of the most stressful things I ever had to do. Good luck to you — hope they don’t need you. 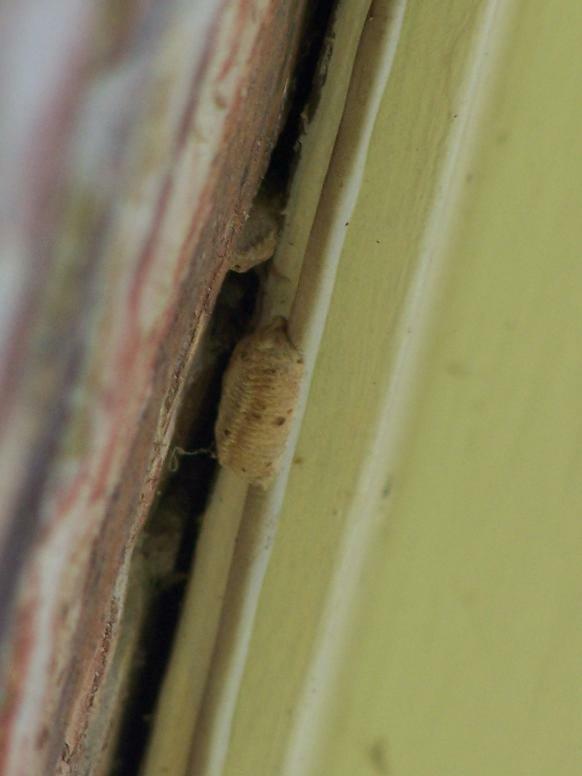 Thanks for the picture of the praying mantis eggs — I’ve had those before and wondered what they were. Good thoughts are with you. A snuggly blanket is a great gift! You be very careful this week and know we will be hugging you tight.